Edited with info for the 2012-13 season. Despite the current lockout, our fantasy hockey league is getting ready for this season...whenever if starts...if it starts. We have a few openings for a draft on Wednesday (the 17th). This league, commonly referred to as 'SK' (in reference to Saku Koivu) was founded back in 2001 on the old ESPN boards. For those who have kept up-to-date with HW history, the entire HW concept was hatched on those forums and many of the founding members of this site have been in that league for a long time. Some, including myself, remain in this league today. Over the years, we've lost a few GM's for various reasons and we're looking to provide a new influx of Hab fans to help restore the ultra-competitive nature of this league. We carry 21-man rosters on each team and our goal generally is to get at least 16 teams although if we can get to 20, that's even better. It's a good group of GM's in the league and given how deep the rosters are, you really get to put your hockey knowledge to the test. If you do sign up, please post a quick note here so we can keep track of the newcomers. Thanks. I'll give 'er a whirl. One of my pools folded this year, so I should have adequate time for this one. No cash, I assume? Just bragging rights? Correct, just for bragging rights. There is not room in this league if all teams from last year return. To join, get the commissioner to increase the maximum number of teams, or remove teams that will not be returning. There are some returning GM's who have yet to confirm their return to the league. The way Yahoo's settings are, until the commish boots those invites, no spots will be freed up. I suspect at this point, we won't know for a bit who is and isn't coming back out of the regular crew. For those who are new and have joined and haven't posted here already, please do so. We actually have a league message board hosted here on HW (we used to use it during the offseasons years ago) and given the inconsistencies with Yahoo's new message boards (where posts disappear out of nowhere), it may come in handy. I'll be opening the board up to those in the league at some point...provided I know who you are. I've been told that the commish has opened up a couple more spots from old invitations. We presently sit at 17 GM's and are looking to get to 20. First come, first serve, details in the first post. Haha, still using the password I setup a few years ago. Why not...gotta keep some traditions alive and it still applies today. Still one spot open presently for the league for those wondering. Happy Draft Day to everyone. If your part of the league make sure to stop by at 6pm for the Draft. Should be fun. Much more than for those who ended up auto-drafting! I had to go with auto drafting since there was no possible way to be around for the live draft. I'm sure a couple people did the same. Can't speak for the others but when I got home my jaw dropped when I saw how *potentially* bad my team is. Two elite players and 18 others ranging from OK to WTF. The auto draft is a cruel mistress. Smug City Winners. The roster is by no means a disaster, just not what I expected. It'll be fun to watch the season play out. A couple nice picks though. He must have had all of the defense grouped together in the pre rank. 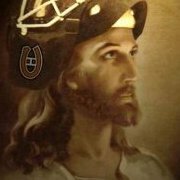 Hey HabsWorld GM's, I'd like to play again, if there are any teams available. I know I left quickly last time, I was having issues with potentially being on the streets, yet I've got my own apartment now (in MTL!) and have some free time. I'd like to give it another go, if that is okay.